David Shackleford reviews authorization rules that will help you secure your IIS 7 Web server. alike. As with any server, IIS is often brought online without careful consideration of security needed for authentication, site details and numerous other aspects of these systems. This can happen anytime a new application is developed or purchased, new Web-based services need to be offered, or during testing of applications or Web-based products. By carefully configuring IIS 7 before deployment, specifically with the delegation of administration, organizations stand to improve security significantly. 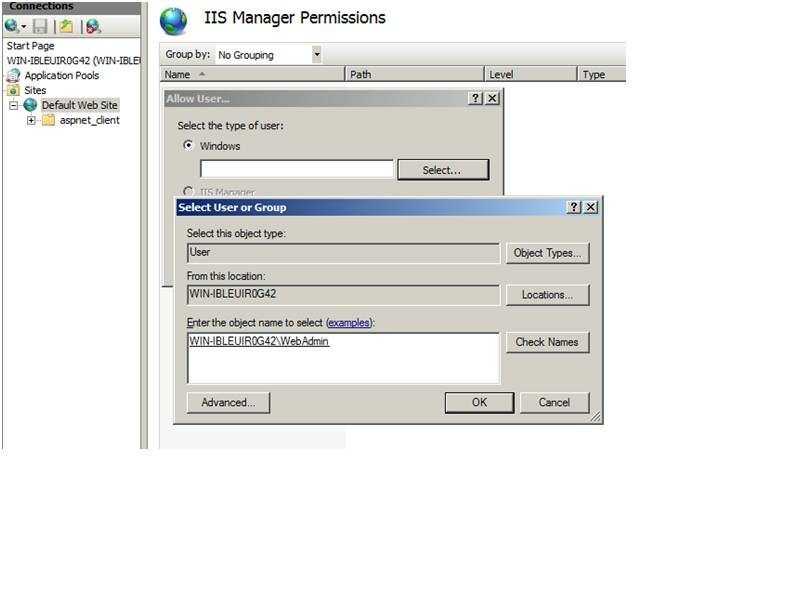 Let's explore IIS authorization and access control options that can be configured to help improve the security of your IIS 7 implementation. The "overrideModeDefault" parameter is set to either "Allow" (unlocked) or "Deny" (locked). These are considered global parameters, meaning they cannot be overridden at a lower level in a site or application hierarchy. It's also possible to lock individual elements and attributes (or configuration values and sub-settings) this way. In previous versions of IIS, filtering certain HTTP request types required an add-on tool called URLscan. 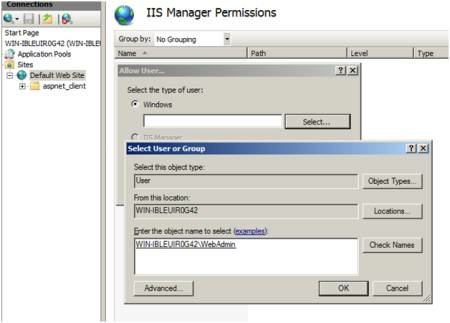 With IIS 7, this functionality has now been built in, and can be configured from the command line. There are many possible options for configuring these request filters, but here are several common examples. This would effectively limit certain known malicious strings of characters or encoding types. Many well-known attacks against Web servers and services have involved Unicode and other coding of characters to bypass intrusion detection and other filtering systems. 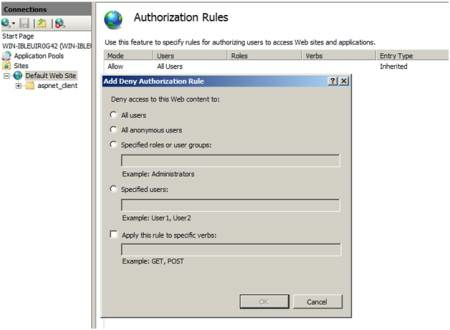 These are but a few of the security-specific configuration actions that should be considered before putting a Windows IIS 7 system into production. There are many more, ranging from authentication options to shared configuration settings for Web server farms and ISAPI and CGI restrictions. In general, the best approach to installing and securely configuring IIS 7 is to start with only the components you need, and then lock them down to only allow the minimum level of access required for business. Dave Shackleford is director of risk, compliance and security assessments at Sword and Shield Enterprise Security Inc., and is a certified SANS instructor. He was formerly CSO at Configuresoft Inc. and CTO at the Center for Internet Security, and has worked as a security architect, analyst, and manager for several Fortune 500 companies. In addition to these roles, he has consulted with hundreds of organizations for regulatory compliance, as well as security and network architecture and engineering.